Right on schedule, chef Chris Cosentino's newest restaurant, Cockscomb, is opening at 4th and Brannan tonight, bringing the Top Chef Master's non-Italian talents to life in a newly renovated space. Cosentino will be on hand nightly in the open kitchen, and though you may not find things too similar to Incanto, you will still find his passion for whole-animal cooking, including a wood-oven-roasted pig's head ($50), grilled sweetbreads with salsa verde ($18), and a Green Goddess salad with crispy pig's ear ($9). 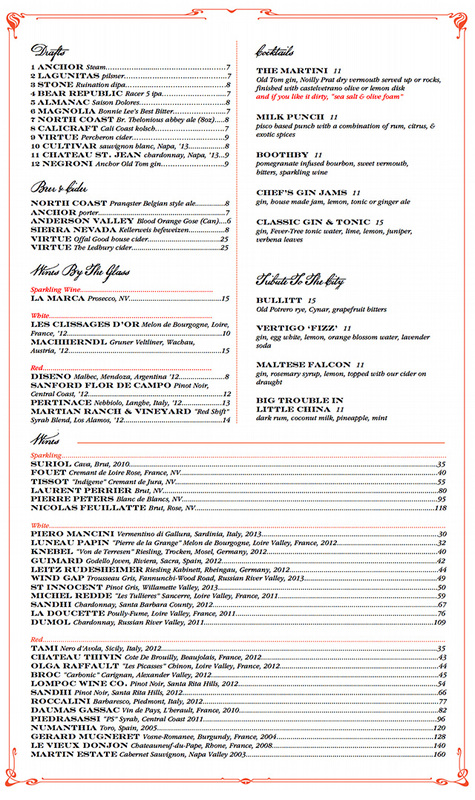 And, for a light dinner, you could stop in for an oyster omelet and glass of wine deal ($19). The space is split onto two floors, with bars upstairs and down, and seating for over 100. And yes, there's a full bar, with some city-inspired cocktails like the Bullitt (Old Potrero rye, Cynar, grapefruit bitters), and Big Trouble In Little China (dark rum, coconut milk, pineapple, mint). 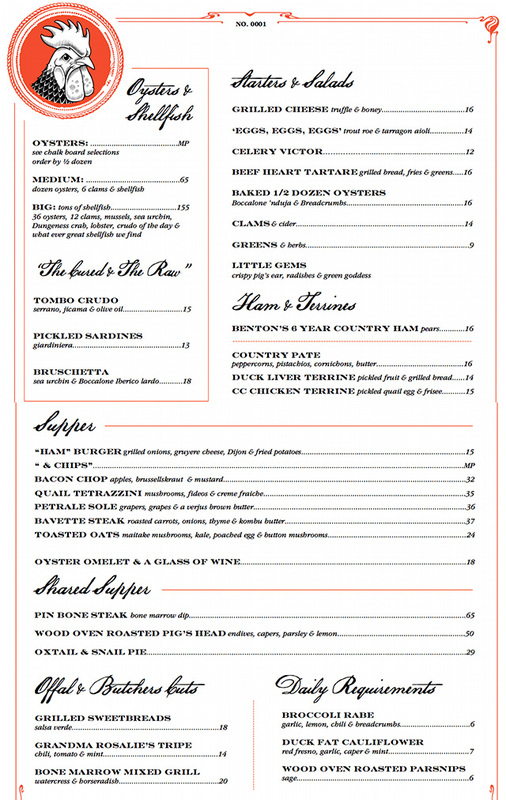 You can see the full menu below, and Eater has some fine photos of the space here. Cockscomb - 564 4th Street between Bryant and Brannan - 415-974-0700 - Open Monday through Saturday 5 p.m. to midnight. Reservations here.